The spirit of VAVA eyewear is derived from today’s post-industrial society and the growing belief of belonging to a post-human age. We’re inspired and fascinated by the post-industrial world in which cities like Detroit, once a symbol of industrial prosperity, dramatically collapsed and was forced to re-invent itself to ensure its survival. At the same time the Techno movement emerged as a significant step in this process of rebirth; indeed, when it appeared in the 80’s it was part of a movement towards the creation of a Techno City, the city of the future, where technology would emerge as the salvation. Also, there is a strong link with Berlin, another post-industrial city, that shares many similarities with Detroit – as well many differences, which is what makes both cities so interesting and unique. VAVA’s mission is to represent the mankind being in control of the technological world and at the same time in control of himself, expressing the antithesis of acceleration and rest. In an environment of high-speed culture, turbo capitalism, media overload, digital revolution, ecstasy of consumption, mega trends and accelerated culture, VAVA eyewear represents deceleration, purism and metaphysics. The structure and design of the eyewear is not just physical – think of pollution, dust, UV, etc. – but creative. It permits the wearer the spiritual space to focus on a ‘mind over matter’ asceticism and a personal dose of reinterpreted perspective. We strive for a contemporary pared back look in conjunction with the futurism, conceptualism and purism that is associated with Techno. The spirit of VAVA is based on the same principle: VAVA is conceptual and visionary in its essence. 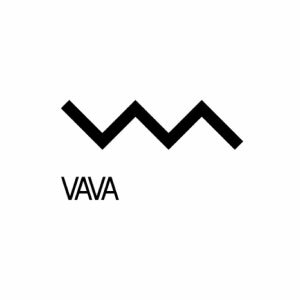 VAVA associates the highly conceptual language of machinery and the arts. Everybody at VAVA lives by this philosophy, providing great consistency to this vision. The collection is handmade at a small family-owned Italian factory and we pride ourselves on avoiding mass production. This gives us the freedom of creation and ensures outstanding quality.